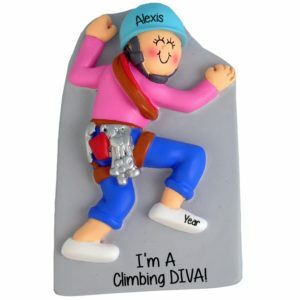 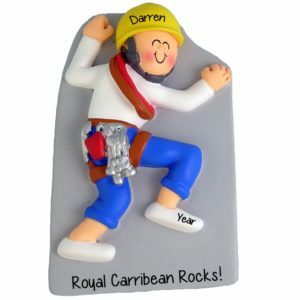 The perfect gift for the “dare-devil” person in your life who loves Rock Climbing! 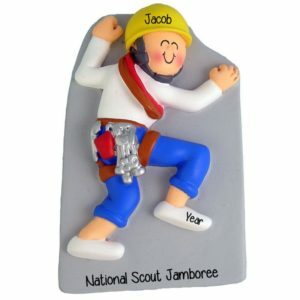 Pay tribute to his or her passion for this challenging and invigorating sport with a 3-dimentional, artfully detailed from resin, unique personalized Christmas gift! You will surely be impressed with the intricate detailing of the rock climber’s tools! The artist has done an amazing job depicting the male and female climbing with their hands and feet looking very agile, strong and balanced. 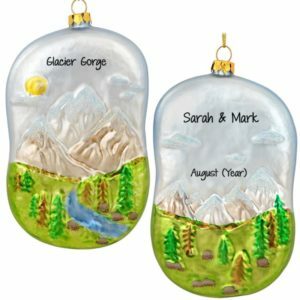 This personalized Christmas tree decoration is destined to become the lucky recipient’s favorite holiday keepsake. 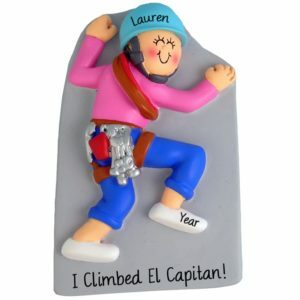 Celebrate a special achievement or memorable climb when one of our highly trained calligraphers will customize your Xmas decoration with a name, optional message and commemorative year.